A founding member of the Group of Seven and a major figure in the history of twentieth-century Canadian art, Lawren Harris (1885-1970) remains largely unknown in the United States. This year the AGO is partnering with the Hammer Museum to introduce Harris’s iconic landscapes to audiences in Los Angeles and Boston. The Idea of North: The Paintings of Lawren Harris will be the first major solo exhibition of his work to be shown in the United States, and will arrive in Toronto in July of 2016. The exhibition is curated by comedian, musician, actor and writer Steve Martin in collaboration with Cynthia Burlingham, Deputy Director, Curatorial Affairs at the Hammer Museum, and Andrew Hunter, Fredrik S. Eaton Curator of Canadian Art at the AGO. The core of the exhibition features more than 30 of Harris’ most significant and rare northern landscapes from the 1920s and 1930s, drawn from major public and private collections across Canada including the AGO, the Thomson Collection of Canadian Art at the AGO, the National Gallery of Canada and the McMichael Canadian Art Collection. 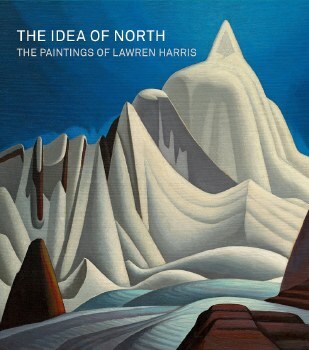 The Idea of North: The Paintings of Lawren Harris is time-ticketed. AGO Members will be offered free admission and exclusive previews in the days leading up to the exhibition's public opening. The Idea of North: The Paintings of Lawren Harris is co-organized by the Art Gallery of Ontario and the Hammer Museum, Los Angeles, and curated by Steve Martin in collaboration with Cynthia Burlingham, Deputy Director of Curatorial Affairs, Hammer Museum and Andrew Hunter, Fredrik S. Eaton Curator, Canadian Art, Art Gallery of Ontario.